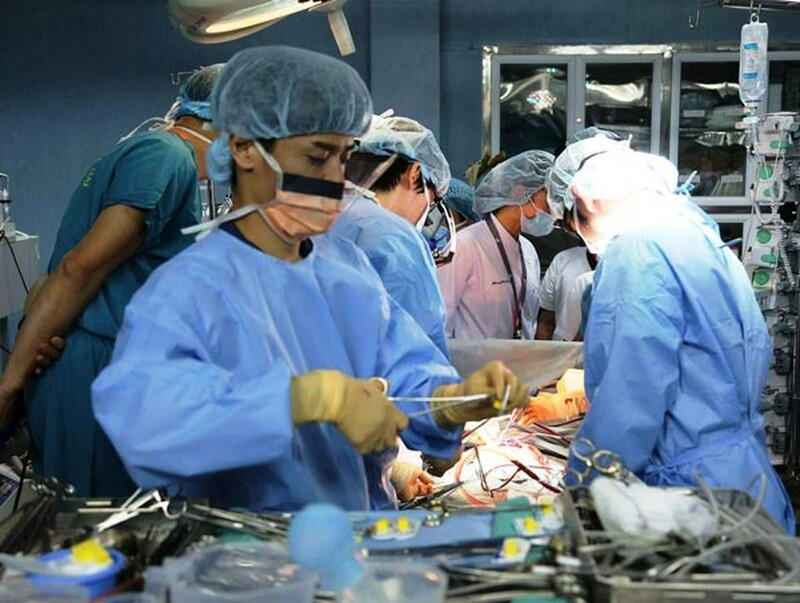 With the help of Japanese medical exports, medical workers of the Army Institute February 22 announced it has successfully conducted a lung transplant operation on a 6-year-old boy, the first such surgery in the Southeast Asian country. Director of the institute Major General Do Quyet said that boy Ly Chuong Binh, born in 2010 in Na Can village in the northern mountainous province of Ha Giang’s Quan Ba District, suffers from cystic fibrosis, a disease that leads to respiratory failure. The donor is his father and a relative. The ten-hour operation was carried out on February 21. The boy, his father and the relative were reported to be in a stable condition after the surgery. The surgery is a part of the project “Research on lung transplantation from live or brain-dead donor” conducted by the institute. To perform the first lung transplantation, in November, 2016, the Institute was assigned to carry the project to protect and take care of the community’s health condition. The Institute has prepared facilities and medical equipment as well as sent its men to study the transplantation technique in Okayama University Hospital in Japan. The Institute decided to carry out the transplantation on Ly Chuogn BInh because the boy suffered the lung disease seriously which caused breathing problem and malnutrition. The boy faced high risk of death. Professor Oto Takahiro highly valued Vietnamese doctors’ skills stressing that Vietnam will get success for the second lung transplant. The Japanese professor emphasized that the survival rate of people after organ transplantation up to 80 percent is higher than the world’s.